​A short report on my visit to CMC in Odense where I talked about multimodal assessment and feedback, including some of the themes from my recent article in the Multimodal Technologies and Interaction journal. ​I was really glad to deliver the key note presentation at Lancaster University's Digital Assessment & Feedback: People, Places & Spaces conference, where I talked about multimodal assessment. My contribution to Edinburgh University’s first Learning and Teaching Conference was to prepare a poster presentation that mapped a path through a series of mobile learning events and excursions I delivered with my colleagues Michael Gallagher and Jeremy Knox. As part of the Making Research Visible event at Edinburgh University I delivered a presentation explaining the critical and creative process behind the video for the Manifesto for Teaching Online. A further output from the mobile learning activity I delivered within Edinburgh University's Festival of Creative Learning. We asked participants to nominate pieces of music and also to share field recordings of their learning spaces, which were then played within the cafe in David Hume Tower. Following the event I created a playlist of the songs interspersed with field recordings. This is a composite of photographs, and some accompanying explanation, made up of 'photographs of learning spaces' submitted as part of a mobile learning activity I delivered within Edinburgh University's Festival of Creative Learning. Review of a mobile learning activity I jointly delivered as Edinburgh University's Festival of Creative Learning. Includes words, photos and footage of a livestream as Michael Gallagher and made the case for mobile pedagogy, whilst asking questions about how we conceptualise the university and campus. I was invited by the School of Languages, Cultures and Societies at the University of Leeds to deliver a workshop around the possibilities and challenges of multimodal assessment in language education. Drawing on speculative methods and research around sound, I created sonic artefacts for the the American History and Architectural Design courses at the University of Edinburgh. Outline for a synchronous and mobile learning activity exploring the changing nature of the university in our increasingly digital world. Part of the Festival of Creative Learning. I delivered a presentation around multimodality and assessment in Architecture as part of the Digital Transformation of Creative Industries day at Edinburgh University. ​Playlists as ethnographic artefacts, featuring Slick Rick, Girls Aloud, Edith Piaf and more! Slides and script from a presentation where I asked whether multimodal assessment can be transformative for the education and life opportunities of refugees and forced migrants. This was part of an event hosted within the 70th Scottish International Storytelling Festival. A report on the walking excursion that Michael Gallagher and I delivered as our conference to the 3rd Bremen Conference on Multimodality. A 90-minute walk through complete darkness with our blind guide, Bjorn. Hamburg's 'Dialog im Dunkelm' and some thoughts about the privileging of image-text within multimodal discourse. Slides and short discussion around my contribution the Edinburgh University's Interweaving Conference. Ahead of our contribution to the 3rd Bremen Conference on Multimodality, Michael Gallagher and I trialled a multimodal excursion through Edinburgh with colleagues. A short video and some accompanying discussion around the sensory character of one of Edinburgh's closes. Drawing on interviews with students and tutors, I reflected on attitudes towards the forthcoming roll out of video lecture recording at Edinburgh University. 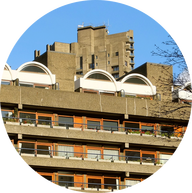 Four short videos which show students from Architecture and History in the lead up to respective coursework deadlines. ​Some homework ahead of a visual methods training day. We were asked to take 15 photographs which suggested what doctoral research looked like in Scotland in 2017. Notes from a workshop by Martin Parker from the Edinburgh College of Art, part of the Digital Day of Ideas organised by the Digital Humanities team at Edinburgh University. My slides and a few accompanying words from a session for staff and PhD students at Edinburgh University. I was invited to speak about my research at the Visual and Multimodal Forum, organised by the Knowledge Lab at University College London. I gathered some useful feedback from Gunther Kress and others present, gathered in my this write-up. Michael Gallagher and I delivered an online workshop discussing our work investigating the learning spaces of online students. This was part of a series events for the online teaching community at Edinburgh University and was organised by the Institute for Academic Development. ​A short update on the evolving shape of my Doctoral research. I've apapted Gourlay and Oliver's (2016) work around multimodal longitudinal journaling and have been using image and sound as a way of investigating the digital literacy practices and learning spaces of students. Slides and some discussion from an online seminar I delivered on multimodal assessment. This was for the Assessment, Learning and Digital Education course, part of the MSc in Digital Education at the University of Edinburgh. Reflections on a walking seminar through Edinburgh with my colleague Jeremy Knox. This was part of the seminar series organised by the Centre for Research in Digital Education at the University of Edinburgh. During a keynote address to the Next Generation: Digital Learning Research Symposium​ being held by National Institute for Digital Learning in Dublin City University, my colleague Professor Sian Bayne played the video I produced to support the Manifesto for Teaching Online. My phone came alive with notifications as the audience responded to the video. I've gathered the reaction here. A short video for an pop up exhibition that took place with the School of Architecture at Edinburgh University. Over the course of five hours I took hundreds of photographs and made dozens of sound recordings in an attempt to make a record of the event. Part of my ethnographic study around meaning-making in an Architectural Design course. ​A short video and some discussion around my experience of following a group of undergraduate students as they undertook a fieldwork visit as part of an Architectural Design project. I draw on the work of Dicks et al (2006) around multimodal ethnography as I reflect on how the gathered sights and sounds offer an incomplete representation of what was experienced. Four weeks into my ethnographic study of a History course (in support of my Doctoral research) I spent a bit of time reflecting on vital role played by images within teaching. Drawing on field notes and photographs collected during lectures and tutorials I suggest that the History classroom is a richly visual and multimodal learning environment in a way that is different to the heavily languaged-based approach to assessment. A short piece to coincide with the publication of book chapter I co-wrote with Sian Bayne and Michael Sean Gallagher. The chapter built upon, research where we investigated the learning spaces of online students, through the elicitation of ‘multimodal postcards’. By paying particular attention the sonic character of the gathered data, we gained insights into the different ways that students attempt to construct spaces for learning. ​I was invited to make a video to support the Manifesto for Teaching Online, a series of short statements prepared by the team from the MSc in Digital Education at Edinburgh University. My approach to the video was itself informed by a number of themes that are significant within online teaching, including multimodal composition, digital authorship and sociomateriality. ​A short video and slides from the presentation I jointly delivered with my colleague Jeremy Knox at the Visualizing the Street conference in Amsterdam. 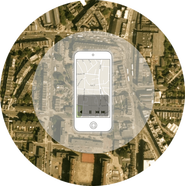 We proposed a methodology that brought multimodality and mobile learning together with the dérive - the unscripted walk around the city - as we gathered aural and visual data. ​Drawing to a close my observation of student and tutors in the Edinburgh School of Architecture and Landscape Architecture, I was invited by staff to return and share the findings of my ethnographic study. As well as talking about the meaning-making rituals I observed in the studio, I mapped the observed approaches to assessment and feedback against what is regarded to be 'best practice' within the literature. Over a period of weeks I used the webcam on my laptop to record instances where I was undertaking writing, reading or other research-related activities, in a location beyond the physical perimeter of the university. I did this as a critical response to an email sent to students outlining the need to give notice of our intentions to be away from the University. My interest was in exploring what it means to be 'away from the university' within increasingly networked educational environments. Based upon my observation of students and tutors as they worked on an assignment concerned with library design, I propose six themes which point to the multimodal character of assessment and feedback with the Architecture studio. I made two visits to Heriot-Watt University's School of Textiles and Design in order to observe students involved in a team project presentation exercise. Drawing on my observation and subsequent discussion with course tutor Marnie Collins, I reflected on the what is accounted for but also over-looked when it comes to assessing work through presentation exercises. I draw on the work of Trevor Cox (Professor of Acoustic Engineering) and BJ Nilsen (composer and sound artist), as well my observation of Architecture students, to argue that we pay greater attention to the aural character of urban space in order to ask questions about our relationship with the city. A short video and some explanatory discussion taken from my ethnographic study into the meaning-making practices of students undertaking a course in Architectural Design. The central argument I make is that a multimodal approach to data collection and communication is a more apt way of representing the architecture studio than the conventional ethnographic monograph with its heavy privileging of words-on-page. ​Introducing a new project with Michael Sean Gallagher where we encourage experimentation and discussion around the multimodal representation of previously language-based scholarly content. Or to put it more clearly, we invite you to remix part or all of a journal article or book chapter that you found inspiring. We held a party to celebrate ten years of our MSc in Digital Education, and the creation of the Centre for Research in Digital Education at Edinburgh University. The format and character of the party was intended to enact a number of the key ideas surrounding digital education and learning. A playlist with accompanying artwork and liner notes I prepared for the Elektronisches Lernen Muzik project. The playlist is my attempt to create a (sonic) space for contemplation and composition, in opposition to the sound of industrial machinery smashing paving slabs outside the PhD office. ​A short home-made video and accompanying words in response to one of the in the Manifesto for Teaching Online from the MSc in Digital Education at The University of Edinburgh. Features Kathleen Fitzpatrick vs Etienne De Crecy. 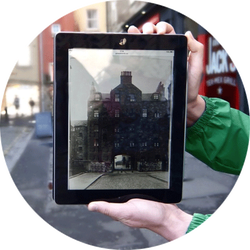 The changing face of Edinburgh's southside with in situ images drawn from the digital archives of the National Library of Scotland and SCRAN. Also features the sound of traffic. To coincide with the start of the new school term I put together this compilation of Old School hip hop for the Elektronisches Lernen Muzik project. Contains a playlist, liner notes and original artwork. Inspired by the Cities and Memory project, I set out to document the distinct colour and noise that surrounded the fixture between FC St Pauli and VFL Bochum. Annual Reports rarely do a good job of reflecting the humour and personality of work involving university and high school students. In response, my colleagues and I decided to create a short video combining voice, audio background and images to tell the story of our Creative Extras week. Reflections on a webinar I delivered with Michael Sean Gallagher where we talked about a recently completed book chapter with Sian Bayne, which takes a multimodal approach to investigate and understand the study spaces of online students. During a series of focus groups I gathered a range of oral and visual data from teenagers in order to investigate their ownership, access and attitudes towards digital technology. The visual data - comprising photographs of the digital devices being carried by participants - offered insights into teenage ownership of technology. Over the course of two years I photographed evidence of football fan culture in my neighbourhood in Edinburgh. I then collected the images on an interactive map and reflected on what this might us about the city, and about fan culture itself. Psychogeography meets London Pride. Kind of. This is a discussion of an exercise in multimodal autoethnography undertaken in London with my colleagues Michael Sean Gallagher and Jeremy Knox. In January 2015, with my colleagues Michael Sean Gallagher and Jeremy Knox, I proposed urban flanerie as multimodal autoethnography. I wrote this entry moments before we tested out our methodology for the first time (and a day before we were due to present it at the Multimodal Methodologies Conference at the Institute of Education). Berlin's famous Fernsehturm telecommunications tower reimagined for the festive season. As featured in the social media Christmas card of the SlowBerlin tourist guide! When I graduated from the MSc in Digital Education I set out to capture the sights and sounds of the ceremony by recording audio and taking photographs inside the University's famous McEwan Hall. I then pulled the aural and visual data together into a short video. I had the brilliant idea for an app that would geolocate songs to particular streets, parks and cafes in London where they had a specific resonance. Nobody listened.